The Stick House is a spacious one-bedroomed cottage which is part of a traditional Ayrshire courtyard farm steading which dates back to about 1775. 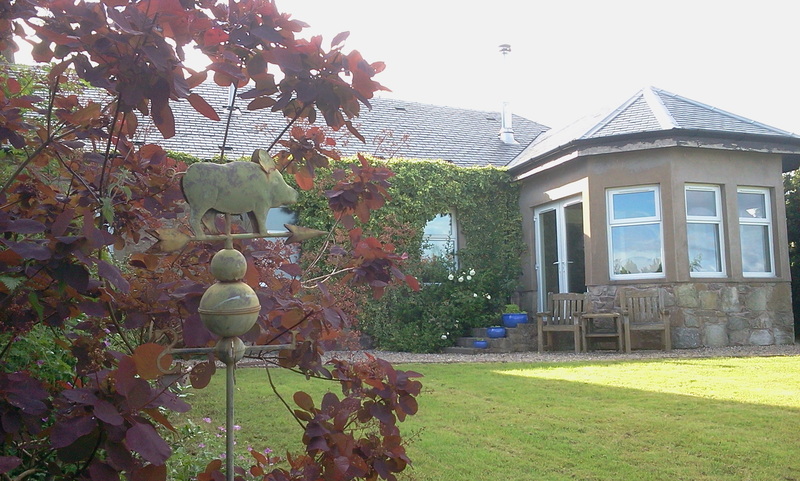 The farm is set in the hills above the Three Towns of Ardrossan, Saltcoats and Stevenston and faces the sea with views across the bay towards Troons and the Heads of Ayr. The Isle of Arran lies behind the farm. Last updated: Monday 13th March, 2017.